HPV infections are the real cause of warts, no matter what superstitions you might have heard. The real reason why one gets warts is due to an infection caused by the human papillomavirus. Many people consider this disease to be quite contagious. However, a common scenario is where only one family member will get it while the others won’t. Treatment for warts will vary and one should also take note of the different kinds of warts. Warts often just infect one part of your body, like your feet or your hands for instance. You don’t have to worry about getting warts all over your skin since they rarely spread to the other parts of your body. However, you should know that there are more than a hundred different kinds of warts. We’ll mention a few common ones below. The type of warts you might be familiar with is the ones that are found at the back of toes, fingers, and knees. These warts are usually dome shaped. Now there is another kind of warts known as plantar warts that are usually found at the bottom of your foot. On the other hand, flat warts are those that are found on the legs, face, and other parts of the body. Flat warts usually arise in large numbers. Believe it or not, there are warts that arise underneath your nail and are known as periungual warts. Finally, filiform warts are the kind of warts that usually grow as a long stalk on the face. Over the counter treatment for common warts are usually products that are based on salicylic acid. Salicylic acid based treatment for warts come in different forms. You can buy over the counter plasters, pads, gels, and even drops. These treatments are usually topical solutions. 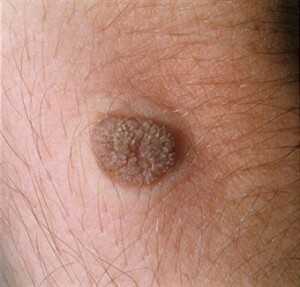 However, the newer treatment for warts has aerosols and is designed to freeze warts. These newer treatments are also nonprescription and the treatment is also referred to as freezing method. 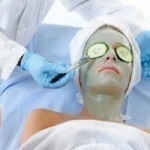 These treatments are liquid nitrogen based. Another type of treatment for warts that people have found effective is by suffocating the warts using duct tape. Warts are covered by non-breathing tape such duct tape and electrical tape. The tape is left in place and is removed only a few hours every week. As you might have imagined, this type of treatment is a bit difficult. Almost always, the tape will fall off thus requiring you to put on new one. You don’t want to spread warts if you or someone else already has them. Here are a few hygienic practices to live by. Do not pick at yours or someone else’s warts. Do not shave them. Never touch the warts. Wear shoes or sandals when you visit public areas. Clean all bathing areas thoroughly. Never share bath towels and other personal effects if you have warts.